Palliative Care advocates launching Palliative Care Week on 29 May 2014 at the Great Hall, Parliament House, Canberra. 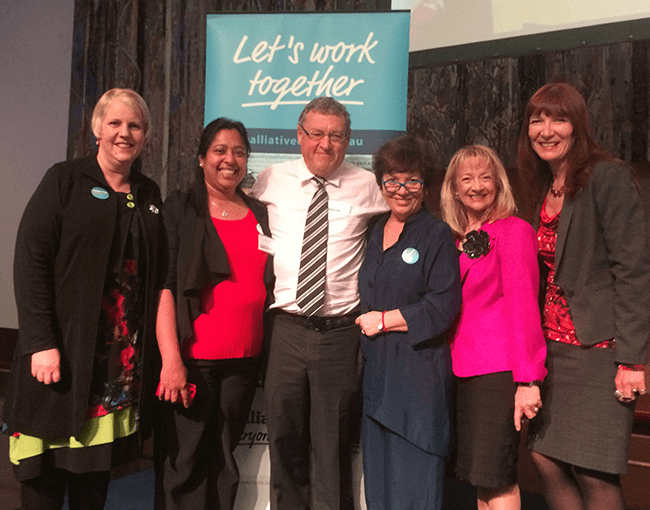 (L-R) Senator Catryna Bilik, carer and palliative care nurse, Maria Heaton, carer Peter King, MC Julie McCrossin, Nola Marino MP and Dr Yvonne Luxford, CEO Palliative Care Australia. Catryna and Nola are co-convenors of Parliamentary End-of-Life Friends.